Travelbag offers a wide and varied selection of fantastic hotels in the Victoria & Melbourne area to meet all of your discernible needs. Whether you are travelling on a budget and require a cheap hotel, seeking something to accommodate the entire family in comfort, or treating yourself to a luxuriously appointed resort, Travelbag pledges to offer a Melbourne and Victoria hotel to suit everyone. With our excellent up-to-the-minute deals, superb quality line-up of Australia hotels and resorts, and commitment for value-for-money, Travelbag is certain to have something to meet every budget, requirement and preference. 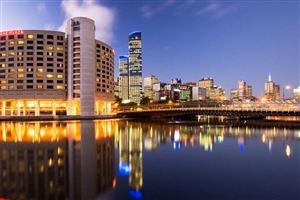 Here is just a selection of our favourite and cheapest hotels in Victoria & Melbourne. Please use our search panel above to find your perfect choice. 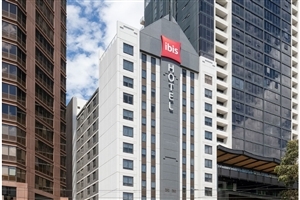 Located a short distance from such highlights as the renowned Queen Victoria Markets, the Lygon Street dining quarter and the premier shopping district of the city, the Ibis Melbourne is a convenient, comfortable hotel that allows guests to explore one of Australia’s most prominent cities in style without breaking the ... bank. 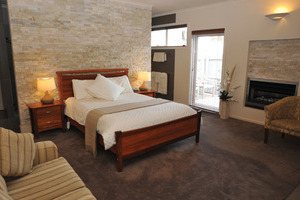 The modern hotel features plenty of spacious settings, lavish furniture and elegant decor, all culminating in a setting of true luxury at an affordable price, with an exquisite dining venue and each of the 250 guestrooms setting the tone for what is sure to be an unforgettable Australian holiday. 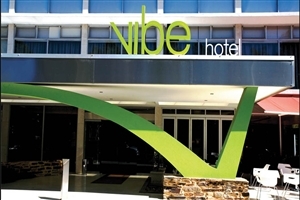 Located in North Carlton, a short distance from the booming heart of Melbourne, the Vibe Carlton is a conveniently situated hotel that shares the enriched streets with a variety of culture hotspots, entertainment venues and fashion outlets. Embraced by the scenic suburbs of Parkville, the hotel provides a world of ... comfort and style for each and every guest looking to vacation in the renowned city of Melbourne, whether it’s exploring the streets and visiting such sights as the Melbourne Zoo, Melbourne Museum and Carlton Gardens or simply relaxing in-house with the exquisite dining venue and each of the modern styled guestrooms, the Vibe Carlton is an excellent choice when considering Melbourne. 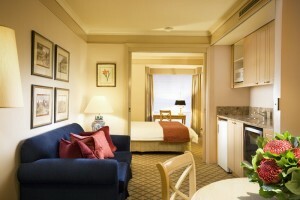 Situated in the centre of the bustling city of Melbourne, the Quality Hotel Batman’s Hill on Collins is a veritable home away from home, offering all the comforts and luxuries a traveller may need with the addition of a warm, welcoming service to ensure guest satisfaction through and through. The ... stylish hotel serves as a convenient hub in one of Australia’s most cultural cities, not just for its idyllic positioning in the CBD, close to many city highlights and entertainment outlets, but also due to its 190 affordable accommodations, each of which is elegantly designed with total luxury in mind to adhere to the needs of romantic couples, family adventurers and business travellers alike, presenting a world of space, privacy and opulence to rival any other holiday destination in the city. 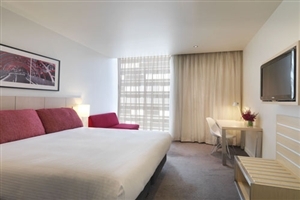 Sporting views that look towards the nearby Yarra River, the Travelodge Southbank is a cosy, modern hotel where comfort and style combine to provide a convenient hub for family adventurers, romantic couples and business travellers alike to enjoy in Melbourne. Travellers are welcome to explore the bustling streets and discover ... such local wonders as The Crown Casino, the Entertainment Complex and the Melbourne Aquarium, all of which are mere minutes away, while the hotel itself features 275 elegantly designed accommodations, all of which house a range of amenities to satisfy any visitors of Melbourne, all at such an affordable price. 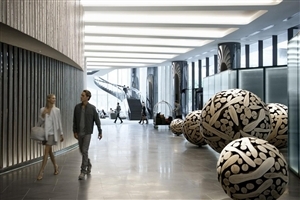 Located deep in the heart of Melbourne’s Docklands business district, the Travelodge Docklands serves as a modern hub of luxuries that, due to its ideal setting, grants easy access to Melbourne’s numerous hotspots and highlights, encouraging guests to venture out and indulge in the ambiance of the welcoming city. 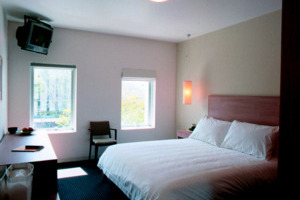 The ... stylish hotel sits among the many high rise buildings of the district, with the interiors adorned in a combination of bold hues and contemporary details, additionally housing a total of 291 elegantly furnished rooms, each designed to provide plenty of style and comfort to any and all guests of the hotel. Whether it’s for business or leisure, travellers looking to experience the vibrancy of Australia’s second most populous city need look no further than the Travelodge Docklands. Set on Spring Street directly opposite the beautiful and illustrious Treasury Gardens, the Mercure Melbourne Treasury Gardens is a comfortable and stylish holiday destination in the centre of one of Australia’s most renowned cities, close to some of the district hotspots and sporting landmarks for explorers and sport fanatics to ... discover on what is sure to be an unforgettable vacation. 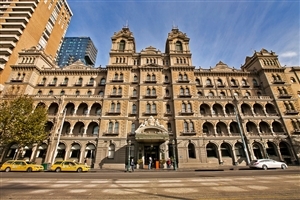 Featuring plenty of space and luxury, the hotel is the perfect place for guests to ease back and allow the ambiance of the city wash over them, along with an elegant dining venue and bar to sample the flavours of Melbourne while each of the 164 guestrooms and suites are just the things to round out a perfect Australian visit. Located in the bayside suburb of St. Kilda, 6km from the city centre of Melbourne, the Novotel Melbourne St. Kilda is a premier beachfront hotel that looks out over St. Kilda Beach, offering stunning views and a world of comfort to travellers looking to kick back and relax in the ... veritable lap of Australian luxury. 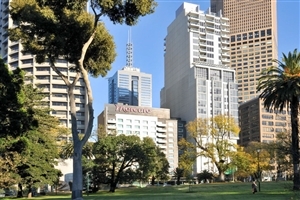 Ideal for business and leisure travellers, the hotel presents guests the opportunity to visit several of Melbourne’s city highlights while the beach setting serves as a scenic oasis of peace, creating a setting tailored to those who like to explore as well as those who like to simply relax. With an exquisite in-house dining venue and 211 guestrooms and suites to choose from, the hotel is an idyllic haven that showcases some of the immense beauty and unmistakable ambiance of Australia. Looking out over the Yarra River from its idyllic setting on Flinders Street, the Rendezvous Hotel Melbourne joins many other city highlights deep within the central business district of Melbourne, providing easy access for visitors looking to explore Victoria’s most populous Australian city. Combining traditional charm with modern style, the ... hotel strives to bring the best of both old and new world comforts to any and all visitors, hosting a variety of facilities throughout its spacious settings for guests to get to grips with along with two excellent dining venues and each of the 340 elegantly designed accommodations that individually serve as peaceful havens far from the hustle and bustle of the city. Located with offices mere feet from the hotel doorstep, explorers and business travellers are sure to enjoy the convenience this hotel provides, and with a number of fashionable shopping outlets, scenic gardens and city landmarks within walking distance, there is something for everyone to be found when staying at this magnificent holiday establishment. 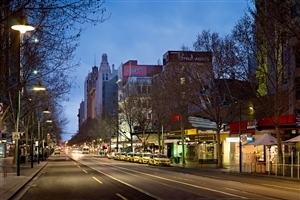 Situated in the very heart of the Central Business District of the booming city of Melbourne, the Vibe Savoy Hotel Melbourne is a stylish, comfortable establishment that presents any and all guests with the opportunity to delve deep and uncover the many wonders of one of Australia’s most prominent cities. ... Set close to Melbourne’s tram and railway connections, travellers are at an ideal position to see all of the major highlights across the city, while the hotel itself offers up plenty of its own luxuries, from the delicious culinary delights of the restaurant to each of the 163 guestrooms and suites that adorn this heritage hotel that serves as an idyllic city haven. 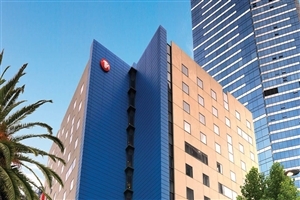 Boasting an envious location in the heart of the central business district of flourishing Melbourne, The Swanston Hotel Grand Mercure is a warm, welcoming holiday destination that provides just as much convenience as comfort, surrounded by a number of the city’s most popular business venues and shopping precincts to ensure ... satisfaction for both leisure and business travellers. With such renowned landmarks as the bustling Queen Victoria Markets, the cultural Regent Theatre and the MCG sporting arena easily accessed from the hotel, explorers are sure to find their time spent well, while the in-house facilities are more than enough for relaxing guests to enjoy, ranging from an elegant dining venue, a chic bar, high quality facilities and a variety of perfectly designed rooms and suites to suit any and all travellers to Australia. 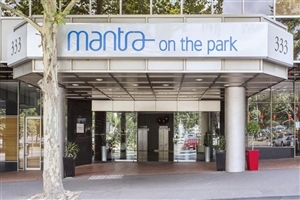 The apartment style Mantra on the Park Melbourne is a comfortable hotel located in the centre of Melbourne’s bustling Central Business District, an area known for its iconic theatres, shopping outlets and important sporting venues. The hotel grants guests the opportunity for a self-contained holiday, housing a number of apartments ... fitted with everything one could need for luxurious city living both short term and long term, combined with an attentive level of service to ensure an unforgettable holiday for business and leisure travellers alike. 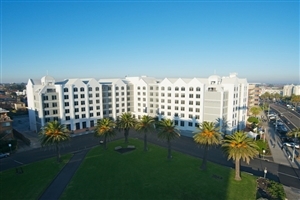 As well as the apartments, the hotel features a wide variety of facilities to utilise along with an excellent dining venue, with views looking out over the stunning city skyline and the World Heritage-listed Carlton Gardens for added splendour in an immensely wonderful city. Set along the fringe of Melbourne’s central business district on Spencer Street, the Crowne Plaza Melbourne is an idyllic Southbank hotel that boasts gorgeous views overlooking the Yarra River, offering not just comfort and style to each guest, but the amazing sights and sounds of the city to accompany it, ... creating a lavish haven for all to enjoy. Travellers can explore the winding streets of the city and discover such nearby highlights as bustling entertainment complexes, shopping outlets and umber of sporting arenas, or alternatively the range of in-house facilities, sumptuous dining venue and each of the elegantly designed rooms and suites come together to make the perfect setting for guests who are happy to ease back and let the ambiance of Australia wash over them in the comforts of their own personal havens. A mere few steps from the Yarra River in the heart of Melbourne’s central business district, the Clarion Suites Gateway provides a comfortable haven for all travellers looking to get the most out of their Australian holiday. 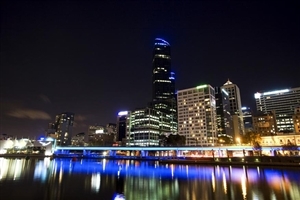 Within minutes of such highlights as the Crown Entertainment Complex and the Melbourne ... Aquarium, the hotel offers easy access to travellers looking to immerse themselves in the culture of the city. 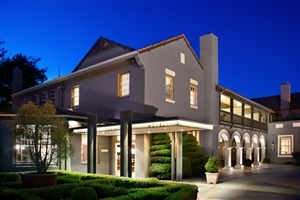 Elegantly designed in modern tones and styles, the hotel strives to bring a warm level of service along with spacious settings and quality facilities to ensure a memorable time for families, couples and business travellers alike as they create memories in one of Australia’s most magnificent cities. 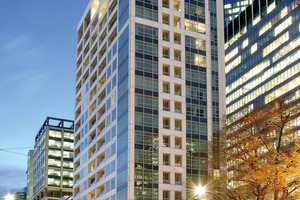 Situated in the bustling Southbank district of Melbourne, the Crown Promenade Melbourne towers high into the city skyline, standing as a beacon of comfort and luxury in one of Australia’s most prominent cities, welcoming any and all travellers to experience the warmth and attentive level of service provided along with ... spacious settings and unforgettable views. The hotel is conveniently set near many of the city’s highlights and hotspots, from the Central Business District for those travelling on business matters to the Melbourne Exhibition Centre and Rod Laver Arena for those looking to immerse themselves in the arts and culture of the metropolis, while the hotel itself features relaxing facilities, several dining venues, bars and nightclubs along with several guestrooms, studios and suites that all serve as idyllic havens any guest is sure to be impressed with. 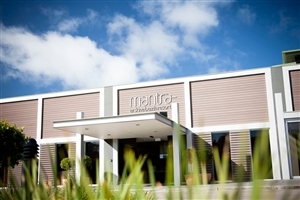 Set deep within the sprawling city of Melbourne, the Mantra on Russell is a sophisticated hotel that offers an abundance of space and an array of settings all aimed at complete guest satisfaction, whether it’s for business or leisure purposes, short or long stays. A short distance from the free ... City Circle tram, travellers can enjoy the many sights and sounds of the city, while the hotel itself features a variety of quality facilities, an exquisite dining venue and a choice of guestrooms and apartments, all intricately fitted to bring the very best comforts to all who visit this amazing Australian city. 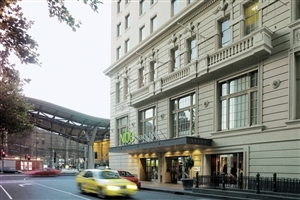 The ever-popular Windsor Hotel Melbourne is a luxurious holiday establishment located on the corner of Little Collins Street in the heart of Melbourne with an enviable location across from Victoria’s own Parliament House and gorgeous Treasury Gardens. Housing a number of elegantly designed rooms and settings, the lavish hotel is ... an ideal place for business and leisure travellers to indulge in the sights and sounds of the bustling Australian city whilst also revelling in the lap of luxury where style combines with comfort to ensure guest satisfaction through and through. Explorers will not be disappointed when traversing the vibrant streets of the city, with the surrounding area consisting of cultural theatres, entertainment outlets and shopping opportunities waiting to be discovered, while the hotel itself features a number of facilities, a sublime eatery and 180 fully fitted guestrooms and suites that together set the tone for an unmistakably opulent holiday experience in one of Australia’s most significant cities. 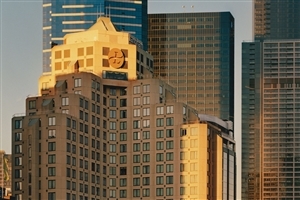 The lavish elegance of the Crown Metropol Melbourne is simply unmistakable, from the exquisitely modern decor to the sheer sense of space and luxury of each room, the hotel is simply in a league of its own. 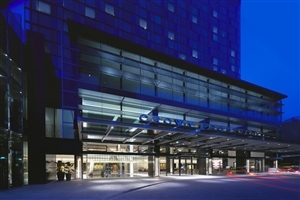 Located in the vibrant neighbourhood of Southbank, the hotel provides easy access for ... guests to explore the wonders of the city centre as well as nearby highlights such as the adjacent Crown Entertainment Complex and Crown Promenade. The hotel is filled with quality facilities to soothe and relax, while the numerous dining facilities are enough to satiate any appetite and palate. Each of the splendidly decorated rooms and suites are idyllic hubs of sheer opulence, providing any and all travellers with plenty of style and sophistication as they explore the second most populous city in all of Australia. The elegantly stylish Stamford Plaza Melbourne is a luxurious holiday destination set at the charming “Paris end” of Little Collins Street deep down in the heart of the bustling city of Melbourne, a gorgeous setting that perfectly matches the equally gorgeous hotel. Located close to many of the city’s highlights ... such as the fashion outlets, a number of dining venues and cultural theatres, exploring travellers will surely appreciate the ease of access, while the hotel itself includes plenty of soothing and active facilities to while the time away with, a sophisticated dining venue to visit and 283 lavishly designed suites to choose from, each with a wealth of comfort and style worthy of the most discerning of guests. 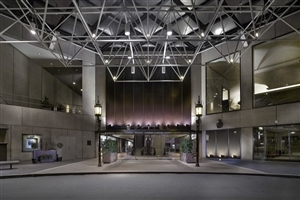 Prepare yourself for a spectacular time in the heart of one of Australia’s most impressive cities with the Sofitel Melbourne on Collins, a luxurious hotel that combines an unmatched level of service with some of the most lavishly designed settings around to ensure traveller satisfaction with no expense spared. 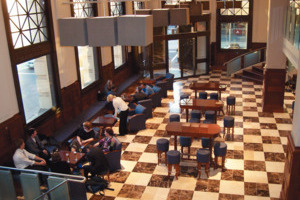 The ... elegantly designed hotel is situated in the centre of the shopping and dining district of the city, at the “Paris end” of the renowned Collins Street, making the setting an excellent choice for explorers looking to uncover the culture of Melbourne as well as those looking for memorable highlights to piece their time spent away together. Sporting a wide range of soothing and active facilities along with several exquisite dining and drinking venues, the hotel is well prepared to take care of both business and leisure travellers alike, and with a total of 363 lavishly fitted guestrooms and suites, this is an idyllic choice for anyone venturing to Australia. 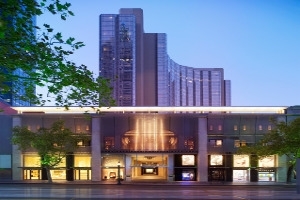 Situated along Collins Street in the bustling city of Melbourne, the Grand Hyatt Melbourne is a luxurious holiday destination that prides itself on providing the very best experience for any and all travellers seeking to get to grips with this fantastic city in style and comfort. Featuring a host of ... varying guestrooms and suites, business and leisure travellers are in for a treat with this extravagant location. Nestled amidst the many sights and sounds of the city’s central business district, a close proximity to a wide variety of dining venues, entertainment outlets and cultural highlights is just one of the perks travellers will receive, with the in-house facilities, exquisite restaurants and casual lounges setting the tone for what is sure to be an unforgettable time spent in one of Australia’s most exciting cities. Set looking out at the Yarra River in the vibrant city of Melbourne, The Langham is a stylish holiday escape that enjoys an enviable setting surrounded by the fine restaurants and boutique shopping outlets of the Southbank Promenade. Elegantly decorated with intimate interiors and offering a genuine, warm level of ... service, travellers will find all that they’re looking for at this luxurious location that sets the tone for an unforgettable Australian experience that suits business and leisure guests alike. 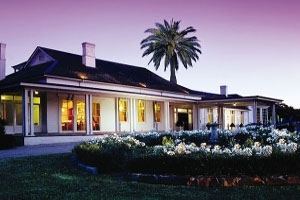 With plenty of landmarks peppered around the exquisite surroundings, exploring is highly recommended for all visitors to the hotel, while the soothing in-house facilities, sumptuous dining venues and each of the 388 lavishly styled accommodations come together to ensure one of the most relaxing times anyone will experience, a true Australian paradise. The stylish Captain’s at the Bay is a modern haven of relaxation set within the coastal town of Apollo Bay in Australia’s own Victoria. The modern bed & breakfast holiday destination fuses old world charm with contemporary comforts to create a style all unto itself, offering a warm level of ... service and placing it in a private, non-intrusive setting for an amazing experience that won’t be forgotten. Located within walking distance of the foreshore, beach and dining venues, the surrounding area grants guests a chance to explore and discover, while the elegantly designed accommodations serve as private oases for honeymooners, group travellers and families alike. The renowned Chateau Yering is set within the heart of the Yarra Valley, a charming holiday destination where period fittings compliment the spacious settings to grant the establishment a unique and memorable quality that even the most discerning traveller can appreciate. Featuring a historic garden landscape along with a number ... of elegant eateries, and several luxurious accommodations, each fitted with a myriad of amenities, the hotel sets the tone for a sophisticated vacation in one of Australia’s most beautiful places, boasting gorgeous vistas of Victoria and the surrounding splendour, views that are sure to stay with guests for a long, long time. Located amidst 12 acres of beautiful landscaped gardens along the renowned Great Ocean Road, the Mantra Lorne is a spectacular beachfront property that also happens to be the only beachfront property in all of Lorne, Victoria. Serving as part of the enriched history of the area, the hotel is a ... fantastic destination that provides plenty of warmth and comfort to each and every guest, setting the scene for many a magical wedding and even boasts the title of largest residential conference destination in Victoria. With the surrounding area playing host to a myriad of local landmarks and hidden highlights, explorers are welcome to uncover their own unforgettable memories among the splendour of Lorne, while the hotel itself sports several soothing and entertaining facilities, an elegant dining venue and a number of resort rooms and apartments for those seeking something extra special for their Australian trip. 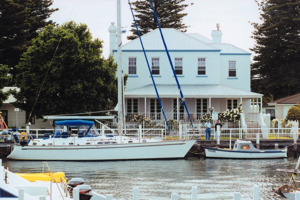 Located on the Moyne River in the centre of Port Fairy, the Oscars Waterfront Boutique Hotel is a comfortable holiday destination where modern settings combine with a warm level of service to ensure a fantastic time for any and all guests as they relax in this serene seaside town. Conveniently ... set near the beach and river, travellers looking to explore and uncover the wondrous sights of the area are in for a treat, with the summer time proving perfect for a nearby swim along with the opportunities to visit art galleries, dining venues and historical landmarks, while the in-house facilities and fully fitted accommodations make this hotel a splendid sanctuary for business and leisure travellers alike to bask within as they enjoy Australia. Situated an hour from Melbourne in the charming region of Hepburn Springs, the Peppers Mineral Springs Hotel is a deluxe holiday destination filled with tradition and comfort in equal helpings, providing a peaceful haven where travellers can unwind and rejuvenate the soul among the beauty and splendour that stretches throughout ... Victoria. The hotel features a wide range of soothing facilities to help guests ease into a state of bliss, while the dining venues bring all the exquisite flavours of Australia to the fore as each of the rooms and villas set the tone for a magical experience like no other. Exciting landmarks are all in close proximity to the hotel, ranging from boutique shopping outlets and art galleries to wineries and local bushwalk hotspots to appease the avid explorer. Whether for business or leisure, families or friends, the Peppers Mineral Springs Hotel is an ideal choice when considering Australia. 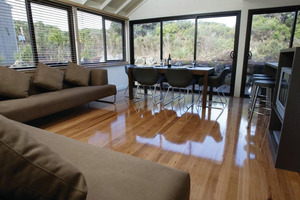 Situated atop the rugged landscape that makes up the edge of the Port Campbell National Park, the Southern Ocean Villas are the perfect setting for a picturesque holiday where natural beauty comes together with modern comforts to create a haven of insurmountable bliss that any and all travellers can enjoy. ... A mere walk from the Port Campbell town centre and beach, the villas is an excellent base from which explorers can embark on an adventure and immerse themselves in the serene ambiance of this magical location, while each of the elegantly designed accommodations are designed for high quality self-contained living, granting a world of peace and privacy for those seeking a memorable time in on a short or long term Australian vacation.